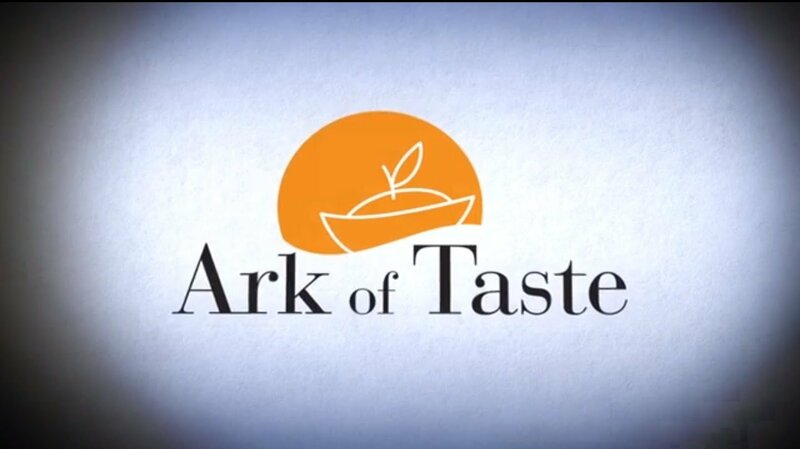 The metaphorical Ark of Taste has a practical arm, the Presidia, which actively support the continued survival of threatened plant, animals and artisanal methods of food production. The Canadian Ark of Taste includes heritage breed animals such as the Canadienne cow, the Chantecler chicken, and the Tamworth pig. The Montreal melon and the Nova Scotia Gravenstein apple also take pride of place along with Tancook Island Sauerkraut. Together with Slow Food, dedicated farmers, millers, researchers and bakers have brought Red Fife wheat back from the brink of disappearance. Today Red Fife is grown from Vancouver Island to Newfoundland and is used by artisan bakers across the country. Particularly important for the Canadian Ark are foods from First Nations diets and cultures. These wild foods reflect not only food’s nutritional aspects but also the great importance of cultural knowledge and landscapes and the passing on of that knowledge. The Saskatoon berry, Miner’s Lettuce, the Nodding Onion, Bay of Fundy Dulse, and the majestic Great Plains Bison are important to various Canadian First Nations food traditions across Canada and are therefore vital additions to the Ark of Taste. Named from the Latin word for fortress or garrison, the Slow Food Presidia (singular Presidium) project was established by the Slow Food Foundation for Biodiversity in 1999. While the overall Presidia project objectives are numerous, complex, and regionally and culturally specific, the basic idea behind the project is a simple one – by helping unique, traditional food products have an economic impact, we can help to save them from extinction. Presidia products are foods that are disappearing in part because they were no longer profitable for producers. The goal of the Presidia project is to guarantee a viable future for traditional foods by assisting artisan producers through such efforts as helping them to coordinate marketing and promotion, establishing quality, authenticity, and production standards for their product, and promoting local consumption. Sometimes it doesn’t require a lot of effort to save an artisan food – it’s enough to bring producers together and help promote consumption of a quality product. Other times it requires much more, from building infrastructure to strong lobbying for changes to government policies that threaten traditional production processes. It is often a group effort as well that requires coordinated effort between Slow Food International, local convivia, and other groups outside of Slow Food working towards the same goals. The Red Fife wheat Presidium is a good example of how efforts from many dedicated people helped to bring a food back from the brink of extinction. Regardless of how a Slow Food Presidia project works, the goal remains the same – to guarantee a viable future for the rich and varied traditional foods of the world. For more information on the Slow Food Presidia and its projects, visit the Slow Food Foundation for Biodiversity.